Aromatherapy sleep aids can help you get the rest you need. For many of us, night time is a time of dread. We often lay awake trying in vain to get a good night’s rest. This tossing and turning that we do each night leads to a terrible day at work, which makes us less productive and at risk of health related problems. But we don’t have to live like this. With the utilization of aromatherapy sleep aids help for chronic sleeping problems can be found. Today we will be talking about different aromatherapy oils and how each one helps to combat sleeping problems. Top aromatherapy essential oils that can help you get some sleep. • Vetiver essential oil is a commonly used essential oil that is utilized in the aid of sleep. The relaxing effect of Vetiver oil is great for those with restless leg disorder or muscle aches. By acting as a mild sedative, this amazing oil will help calm the nerves which will in turn help the muscle system relax. A great way to utilize this oil is to add it to a hot bath which will release its calming vapors and will result in a great night rest. • Marjoram essential oil is another great essential oil that has been used to help people achieve sleep. This essential oil is great for those whose mind’s race at night and for those suffering from anxiety problems. Marjoram oil also is great for those suffering from soreness and a massage oil as well. A combination of marjoram and lavender oil is commonly used to treat sleep related issues. • Neroli essential oil can be one of the most powerful aromatherapy sleep aids. Used by many to achieve a good night’s rest, neroli oil works to calm the central nervous system. A mild sedative, Neroli oil is great for those who are suffering from depression or panic attacks. When used just before bedtime, neroli oil can help the user reach a relaxed state by calming the mind. 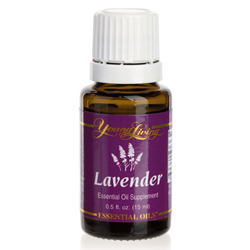 • Lavender essential oil is probably the most common of all aromatherapy essential oils. The power behind this amazing oil is in its smell. The scent of lavender oil when defused in the air reduces the activity of the central nervous system which allows the body to get ready for sleep. Lavender oil is often paired with other oils to help aid in relaxation. • Valerian essential oil is another great essential oil that is used to aid in sleep. For those who suffer from chronic insomnia, valerian oil is probably their best choice of oils. Although valerian oil doesn’t have a pleasant smell like most of the aromatherapy sleep aids, it is one of the most powerful. Also great for migraine headaches, valerian oil works by suppressing the central nervous system acting like a sedative. Remember that this is very strong oil so make sure you have at least 8 hours to sleep before deciding to use it. Driving can become impaired if you don’t allow ample time between taking valerian oil and operating a motor vehicle.